Thomas was born in 1814 in Philadelphia, Co Durham. His parents were Wesleyan. At an early age he went to work in the local coal mine. At the age of 12, Thomas was subject to ‘deep religious impressions’ under the ministry of some early PM preachers of the Sunderland circuit. He became a diligent reader; essentially he was a self-taught man. Thomas became a local preacher when he was 18. On completion of his probation, Thomas immediately became a superintendent. On several occasions, Thomas was appointed as a General Committee delegate. 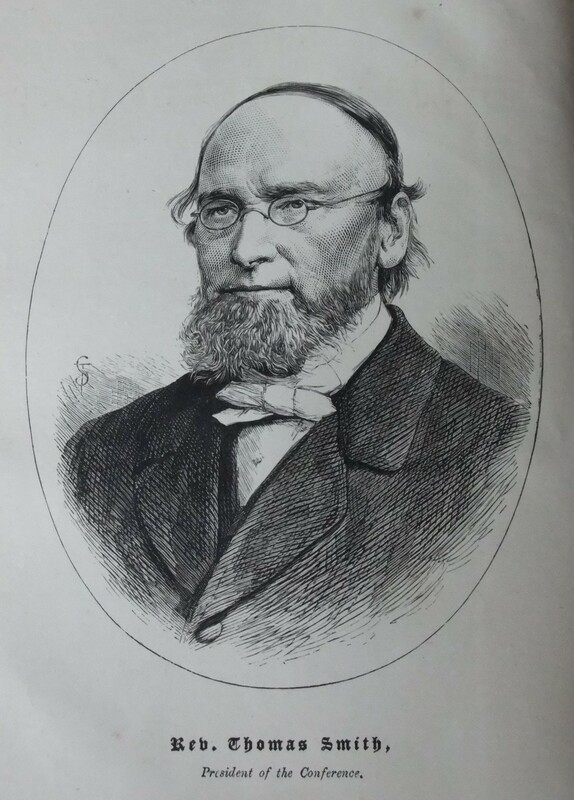 He became Governor of Elmfield College in 1868 when John Petty died. Thomas was President of Conference in 1877 and in 1878 was one of the fraternal representatives to the Wesleyan conference. His obituary records that his peaceful disposition, his high Christian character, his sound judgement, his mental ability, and his kindly manner always won for him the good will and cooperation of the people in his circuits, as well as the confidence of the brethren in the ministry. Thomas married Elizabeth Middleton (1817-1884) on 23 Jun 1838 at Gateshead, Co Durham. Census returns identify three children. Thomas died on 29 August 1879 at York, Yorkshire. This page was modified on 27 November 2015 to add a transcription of an article in the Christian Messenger 1913.